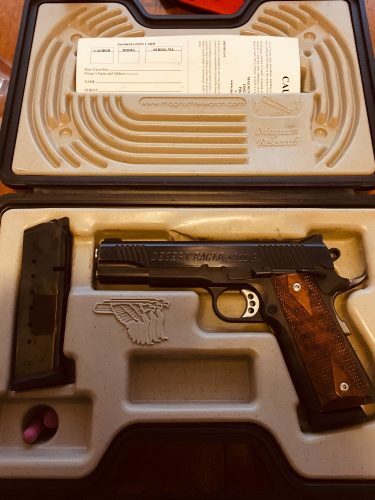 This is a really sweet 1911. I love this gun, but I don’t use it as much as I should. Probably only had 400 rounds through it. I’d consider trading for a nice semi-auto, or over under shotgun. I’d also consider a 7mm Mag or .300 Win Mag.